250Mhz! 1Gbps! 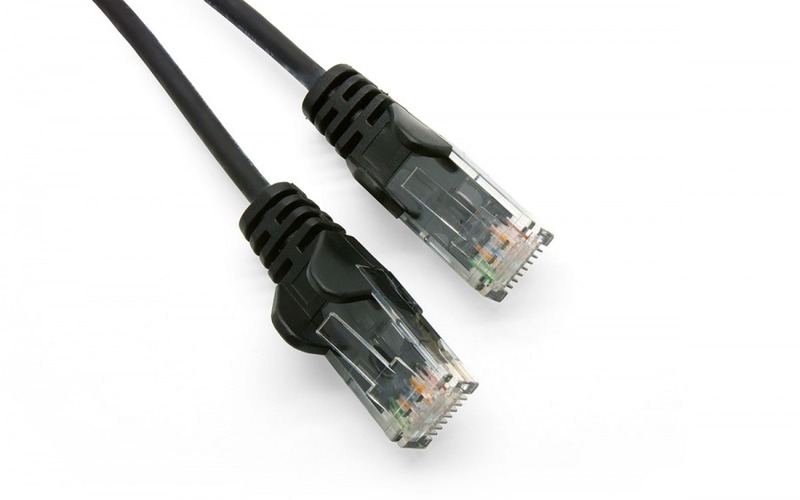 High performance Ultrathin Cat6 networking cable with a Low-Smoke, Zero-Halogen (LSZH) Jacket. As technology improves, it generally gets thinner. This is true of most things, cables included. Except for network cable!!! It's always been roughly the same size cable as it progressed, this was usually due to the exacting standards required of network cables, far greater than most normal AV cables. In recent history we went from CAT5 to CAT6 to CAT6a cable, 100Mbps to 1000Mbps to 10,000Mbps speeds, all in the same sized cable with the same connectors (I won't even get into CAT7 and CAT8 here). But not anymore! With recent breakthroughs in the quality of cable design and engineering I can finally present to you our range of ultrathin CAT6 cables! A vast improvement in the overall width of these cables, just 3.9mm thick, allows for huge flexibility when patching in network switches. Data installers buy these off me in the hundreds because they open up so many more options for routing cable for network switches, plus they're so much easier to bundle up or move out of the way. Perfect for home or commercial installations, these ethernet cables are designed to reduce the amount of toxic and corrosive gas emitted during a fire. Constructed of high-grade thermoplastic compounds, the LSZH jackets of these CAT6 cables emit monimal smoke, and no halogen in the event of a fire. So if you're looking to replace a single cable or carry out a complete install for a new system, consider our awesome CAT6 cabling; available in a variety of lengths. They'll carry your data faster and further than ever before, and they'll be ready for the next generation of high speed networking devices.